AT&T has announced that it will be the first company in the US to offer the mobile 5G device over a commercial, standards-based mobile 5G network. AT&T standards-based mobile 5G network is already live in parts of 12 cities including Atlanta, Charlotte, N.C., Dallas, Houston, Indianapolis, Jacksonville, Fla., Louisville, Ky., Oklahoma City, New Orleans, Raleigh, N.C., San Antonio and Waco, Texas. In the first half of 2019, the company plans to deploy mobile 5G in parts of these 7 additional cities; Las Vegas, Los Angeles, Nashville, Orlando, San Diego, San Francisco and San Jose, Calif. The early adopters will be the first to experience the NETGEAR Nighthawk 5G Mobile Hotspot on its mobile 5G+ network. 5G+ is built to provide a mobile 5G experience over mmWave spectrum. Through an initial offer, AT&T will deliver select businesses and consumers its first mobile 5G device plus 5G data usage at no cost for at least 90 days. customers will be able to get the Nighthawk for $499 upfront and 15GB of data for $70 a month on a compatible plan and no annual commitment in Spring of 2019. 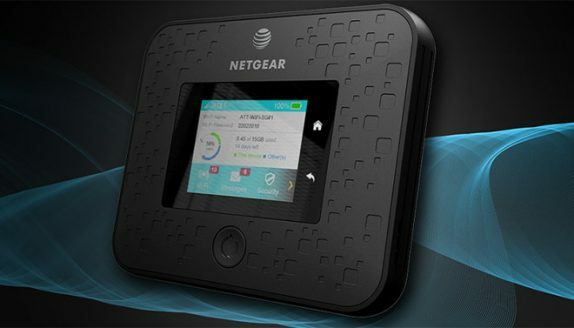 The device will require a 5G compatible AT&T data plan. This is the first taste of the mobile 5G era. Being first, you can expect us to evolve very quickly. It’s early on the 5G journey and we’re ready to learn fast and continually iterate in the months ahead.